Mmmmm dumplings… This is a quick recipe that I make either dumplings or biscuits out of. Slowly add milk and mix until it has a doughy consistency (just past crumbly, but be careful not to put too much in to make it thin). Don’t over mix! Once it’s combined, stop otherwise, they might not rise well. Biscuits: Preheat oven to 350F. Drop batter by the tablespoon on a greased cookie sheet and bake for about 18 minutes (depending on how hot your oven runs and altitude). Dumplings: Drop batter by the tablespoon into gently boiling chicken broth (or whatever broth you prefer) and cover. Don’t overfill the pot, don’t pile them on top of each other either. 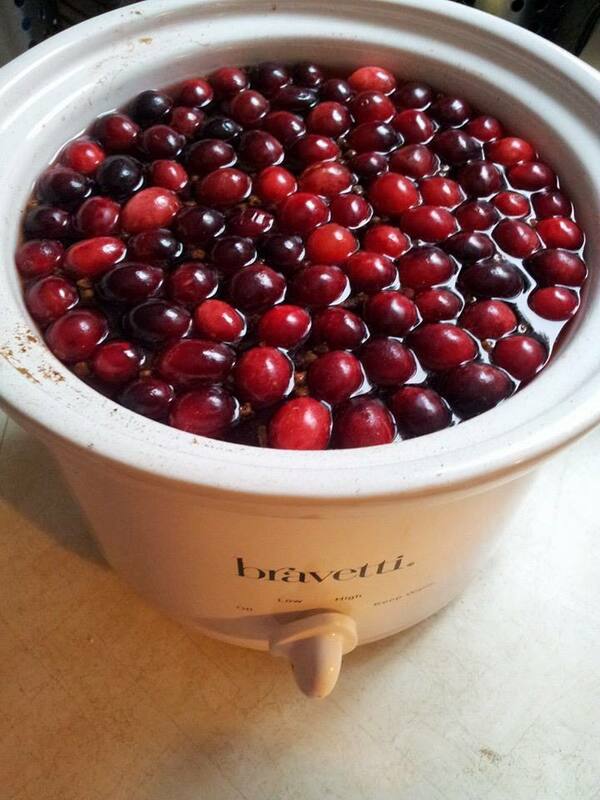 Let them boil gently for about 20 minutes and eat hot. They should be nice and fluffy. It will likely make a nice gravy in the broth that’s remaining. Adding chicken and frozen veggies to the “gravy” makes a very nice meal with the dumplings. All ingredients go into the bread machine in order. When the dough is done, preheat the oven to 375 (350 works, just increase bake time a few minutes), and cut into 16 equal pieces. Roll into balls, place on baking sheet, and brush with melted butter. Let them rise for about 20 minutes in a warm spot (I like to turn the oven on for a minute at 200 F, turn it off, then shove them in there. Bake at 375 for 12 – 15 minutes (350 for 18 minutes works too) on middle or upper rack. Optional: add garlic powder, Parmesan, or whatever toppings you want before placing in oven. Note: I tried this with whole wheat flour (Five Roses or Robin Hood, I can’t remember which brand but it was one of those two). It is fantastic! I also took half the dough to make rolls then the other half to make a loaf (I did it for a white batch and a whole wheat batch). Same temperature and time for the loaf as the bread. Awesome! And it makes really good toast. Hubby and I are really impressed with this recipe. Mix all ingredients together very well and pour into a greased slow cooker. Cover and cook on low for 6-7 hours or high for 3-4 hours. Put the ingredients in the bread machine in the order they appear above. Set the bread machine on the dough cycle. When it’s done, remove from the bread pan to a clean floured surface and let rest for 10 minutes. Shape dough into a pizza or cut chunks to make pizza pockets. 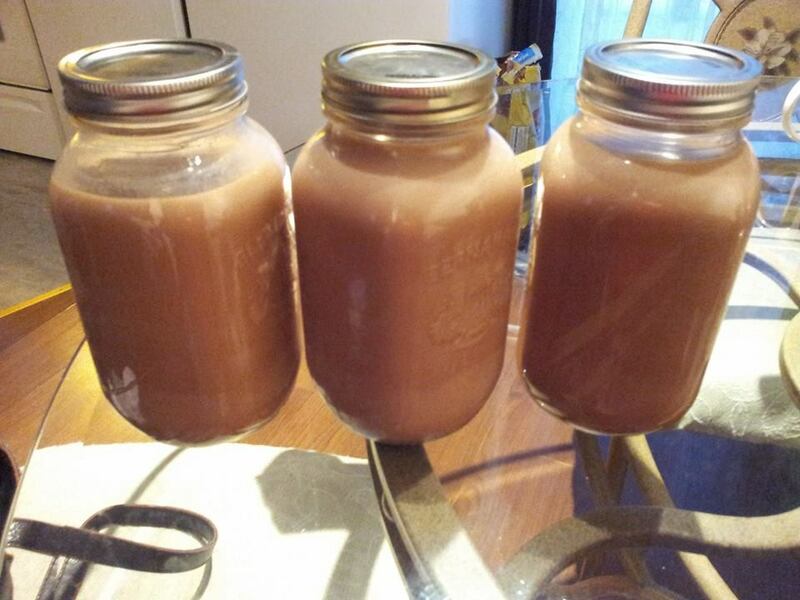 I’m not sure what to call this… Some people use apple cider, I used unsweetened apple juice for it. I didn’t really use measurements, I just did a lot of taste testing until I got it the way I liked it. I like a heavier clove taste so just cut it in half or so if you don’t. If you find it too sweet, just add more water. Put everything in the slow cooker, set it on high and let it heat up a while. After, keep it on warm or low for hours and enjoy. 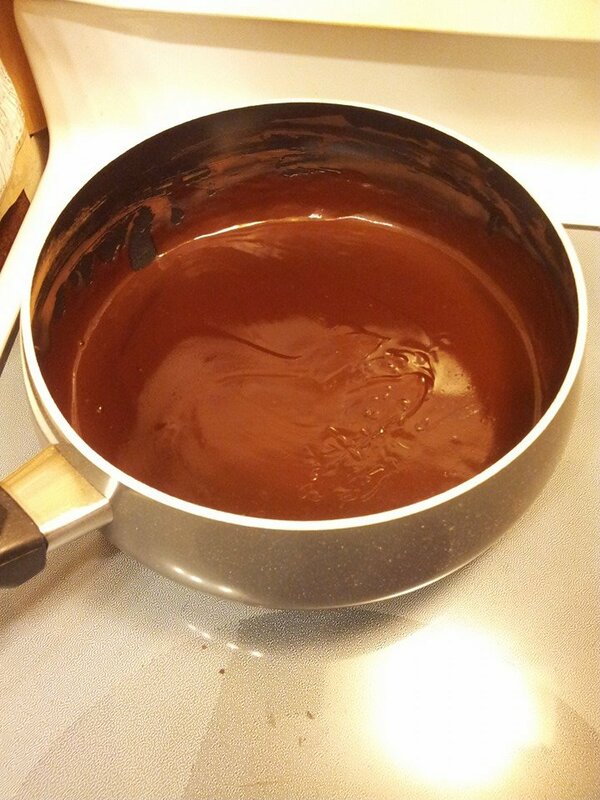 In a medium saucepan, whisk together the cocoa powder and sugar until blended. Add the water and 1/4 teaspoon of the salt, and whisk over medium heat until boiling, stirring constantly. Continue boiling until mixture thickens, about 3 – 4 minutes. The mixture will still be fairly thin (it thickens to a syrup-like consistency once cool). Taste and stir in additional salt until dissolved, up to 1/4 teaspoon, if desired. Remove from heat and stir in the vanilla. Cool. Store syrup in an airtight glass container in the refrigerator. The syrup should keep, refrigerated, for at least a month. I keep losing this recipe I have posted on Facebook so I’m putting it here to avoid spending so much time looking for it. The recipe I use is based on this recipe. I’ve modified to be easier on blood sugar and has fewer calories. Place all ingredients in a 1 litre mason jar, cover, and shake well. Refrigerate and serve cold. I had company over for Christmas eve dinner and got good reviews on it. I got this from Kraft’s site and it’s very good! The only alterations I did was using the turkey Stove Top instead of Chicken, I used fresh broccoli, Hellman’s mayo instead of Miracle Whip, and I added mushrooms to it. Spread the broccoli and ham in a large greased (I used cooking spray) baking dish. Add cheese and stuffing on top. In a separate bowl, mix milk, mayo, and eggs well then pour mixture on top of casserole. Refrigerate for a 1/2 hour, bake at 375 F for about 1 hour.